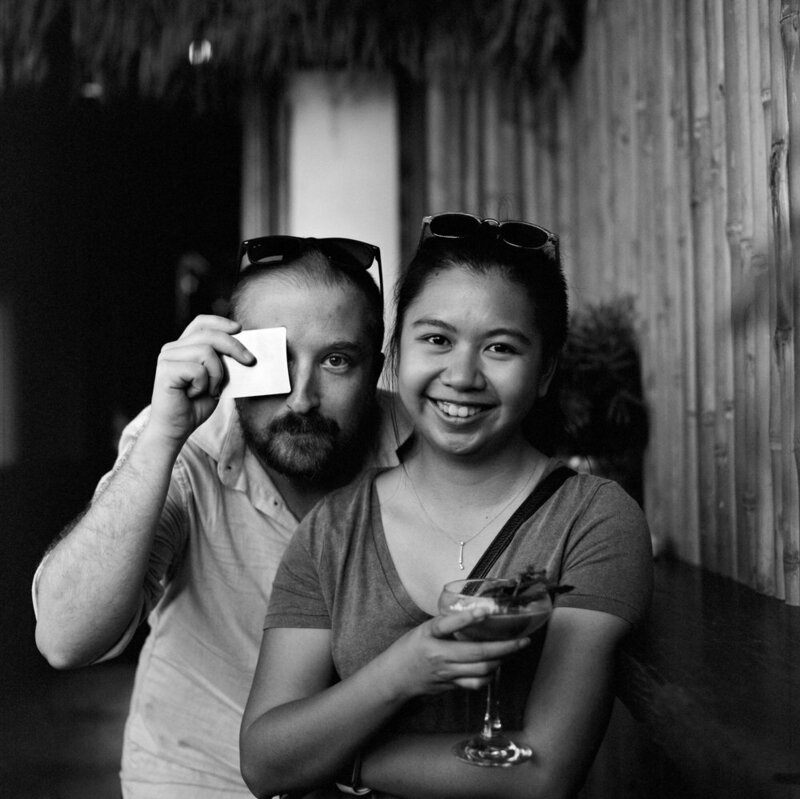 Nicholas Karlin and Clarissa Villondo are editorial, portrait and lifestyle photographers based in Washington, D.C. They especially love food/drink photography and corporate event photography because of the ongoing relationships built with those owners and organizations. They are passionate but practical and believe that modern photo work can still be timeless. Nicholas is the KARLIN half. He is an editorial, portrait and lifestyle photographer. He often shoots in black & white. He's addicted to coffee. He grows a red beard. He's a staff photographer for Brightest Young Things and the Bentzen Ball. He is working on a “Comedians of DC” portrait series. Clarissa is the VILLONDO half. She shoots food, beer and cocktails. Clarissa is the office manager for Karlin Villondo Photography. She’ll answer all of your emails. She loves drinking an old fashioned and Stillwater Artisanal. She shaves half her head multiple times a month. She is a staff photographer for Brightest Young Things. She shot the White House Correspondents Dinner in 2017. She has photographed 4+ annual meetings for the World Bank. Nicholas and Clarissa are based out of Washington, DC. They are available for hire for portraits, editorial work, events and commercial work worldwide. They are able to meet with clients in the Washington, DC metropolitan area or with clients anywhere via telephone or video chat for photo consultations. We're only taking on a select number of weddings from now on. Please refer to our wedding guide for more information.